I don’t know if y’all are aware of the weather here in Charlotte, but in the summer it can get HOT and oh so humid. Not quite Charleston humid but still… sticky. One thing I don’t need ruining my outfit on a hot summer day are deodorant marks. You know the ones- so not attractive. And as a blogger, I take my #OOTDs seriously. Some of y’all may or may not be aware, but when fashion bloggers meet a photographer for a “shoot,” we often have to change outfits in the back of a cramped car with clothes being thrown everywhere. Not so glamorous, right? And the last thing you need in that situation are white marks getting on your next outfit. To avoid this fashion emergency, approximately half of women report they have contorted their body while putting on their clothes or waited for their deodorant to dry before getting dressed. 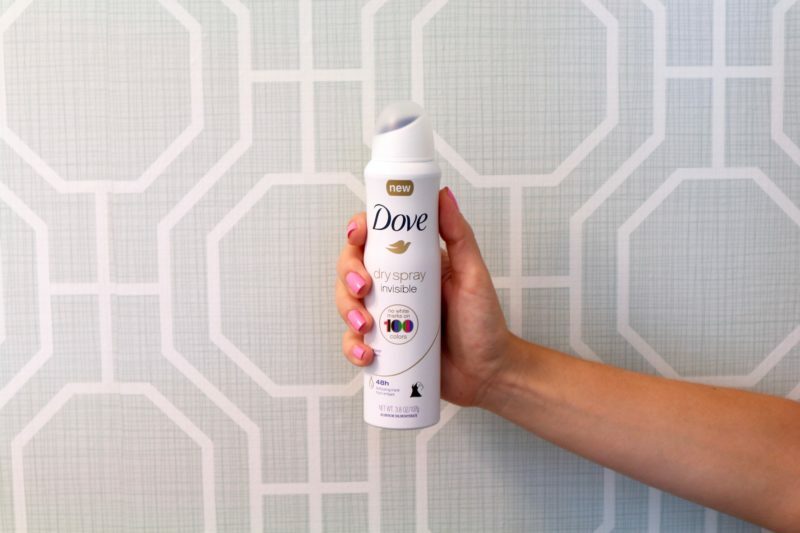 I have been using Dove deodorant for years but have never thought about using a spray deodorant until now. I guess it’s all about staying dry and when you think of a spray you probably think of a liquid. Remember those wet roll-ons of the past? I cringe!! 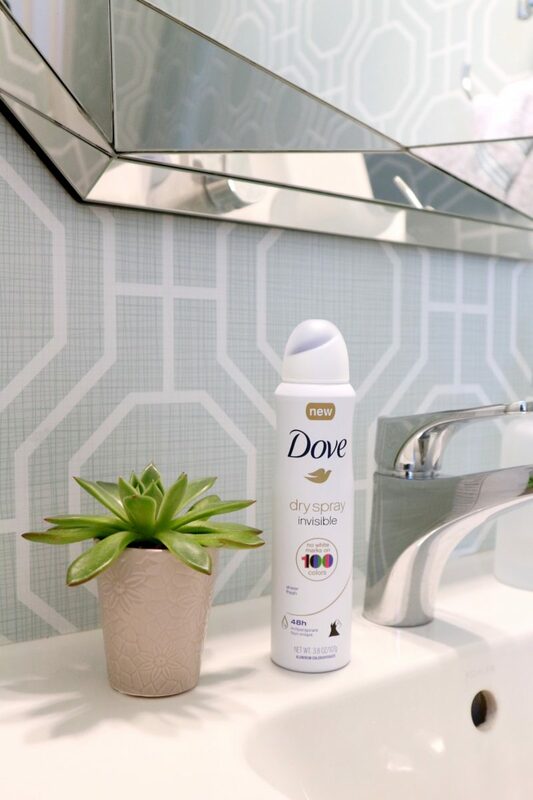 Anyways, the new Dove Invisible Dry Spray Antiperspirant is a super quick way to apply deodorant but is exactly that… invisible and dry. It dries instantly and will leave absolutely no residue in those pesky creases. 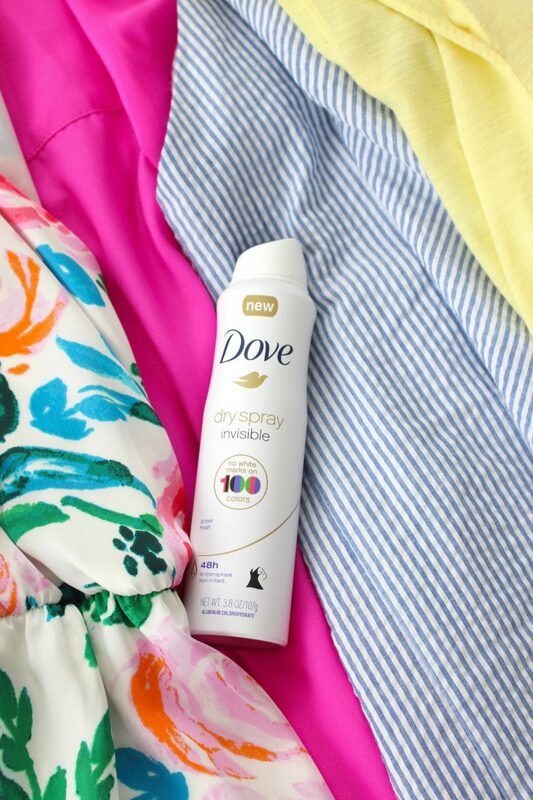 In fact, this spray leaves no marks on 100 colors of clothing! And it actually makes your underarms feel a little smoother thanks to the moisturizers. This was a pleasant change in my beauty routine and I do love the way it feels and how little time it takes to apply. 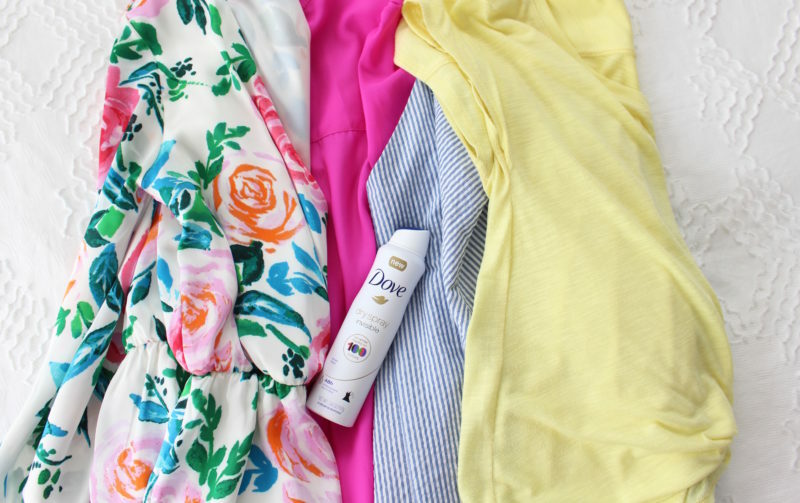 So bring on the bright colors and as many outfit changes as you want and leave those white marks behind! I love the dry spray formula! So easy to apply and no deodorant streaks! I love anything and everything Dove!! They always have such great products! I live in Houston and our humidity is terrible! I will have to try out this deodorant ASAP! I love Dove products. I’ll definitely have to pick this up next time I need deodorant! No joke, this is seriously my favorite deodorant right now! It smells so amazing and it really is clear! their products are absolutely some of my favorites!!! Great minds think alike on today’s post! I’m really liking this spray! I REALLY need to try this! Thank you for sharing lady!